We all learned somewhere along the line that good things sometimes come in small packages. 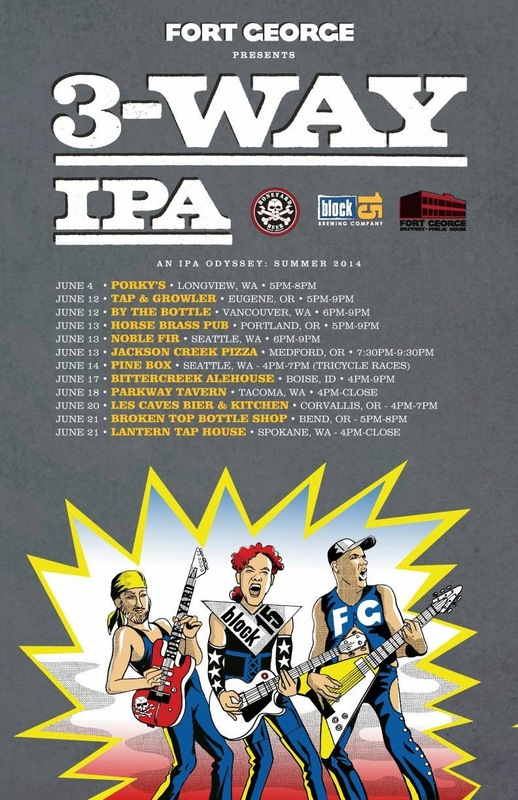 You can change that to read small aluminum packages with the release of Fort George Brewing's Summer Seasonal, 3-Way IPA. It's coming to shelves, pubs and bottleshops near you by the end of the week....June 6, officially. This year's rendition of 3-Way is a step up from what it was last year. Fort George's collaborators this time around are Boneyard and Block 15, breweries that have achieved rock star status in Oregon and around the Northwest. The packaging reflects that notion. The new 3-Way pours hazy blonde in the glass. There's a bit of residual sweetness in the backbone, a perfect veneer for the hops to latch onto. There's no stated IBU. "Taste it for yourself," they advise. Each of the collaborating breweries contributes to the end result. If you're a fan of the aroma and flavor of Boneyard's RPM, Hop Venom and others, you will almost certainly like 3-Way IPA. There's a burst of high octane aroma on the nose and in the upfront flavor. Brilliant. The Block 15 contribution to the beer seems to be in the mouthfeel, which is luscious, liquid hops. 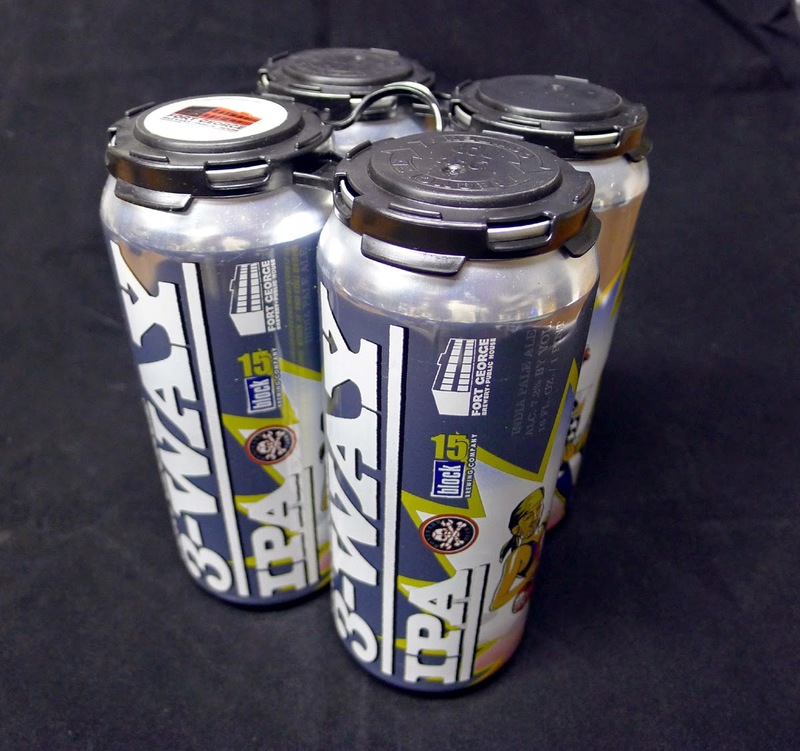 If you enjoy Sticky Hands, Space Cowboy or Bad Fish, well, you're going to have a similar tasting experience with 3-Way. Hooked. The Fort George part of this beer appears to be the slightly bitter finish. That seems consistent with some of their other beers. 3-Way IPA isn't "San Diego" bitter, but there is a definite bitter tone in the finish. Some will find that refreshing; others may decide it detracts from the flavor. 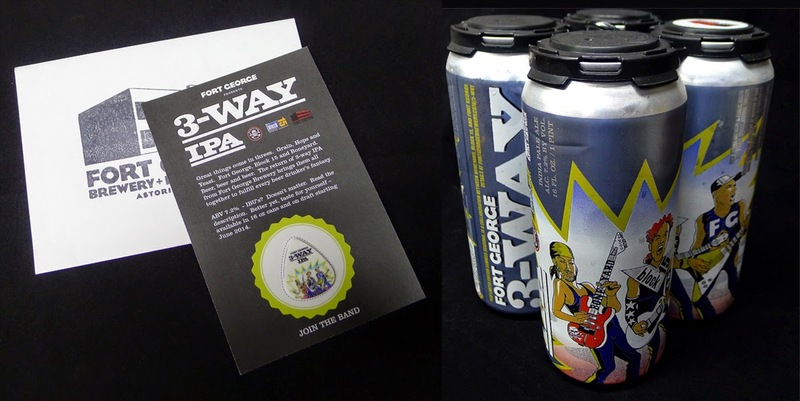 Like most Fort George beers, you'll find 3-Way IPA in 16 oz cans. They're switching to six-packs of 12 oz cans for a couple of their year-round beers...Optimist and Quick Wit. But the seasonal 3-Way will be in the packaging we're all used to. Craft beer in cans works really well. Special thanks to the folks at Fort George for sending a package of 3-Way to my doorstep a week ahead of the release date. Nicely done. This beer should be on the wish list of anyone who likes a beer with a zesty hoppy character. 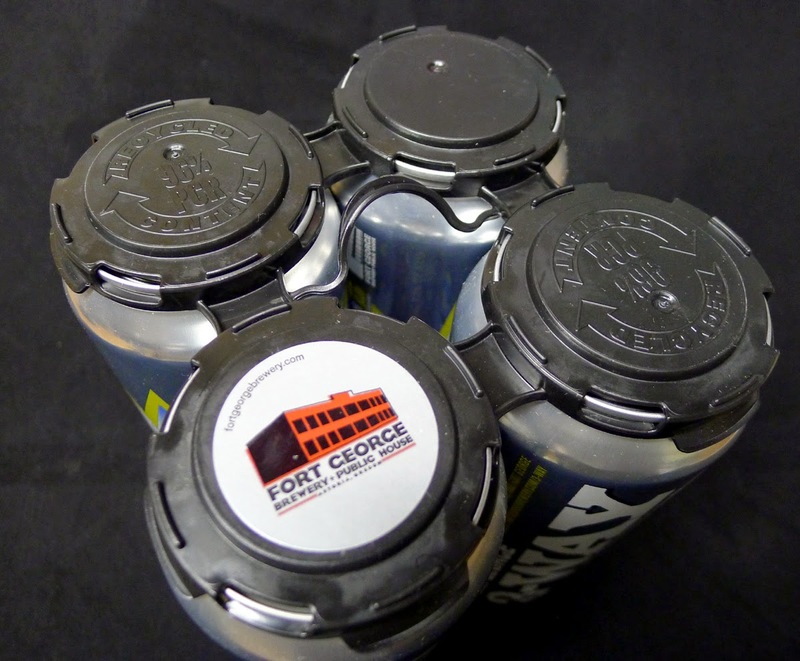 Update: It looks like Fort George is ahead of schedule getting 3-Way out to retail outlets. I'm told it will be available in some Portland-area stores and pubs as early as tomorrow (the 3rd). Below is a schedule of release dates and party locations. I will be looking for it.. Big fan of Vortex and RPM. A truly delicious beer. Stocking up on cans while its around. Super floral, hoppy, with maybe a little lackluster front end, but otherwise awesome. Stoked for a great backpacking IPA for the summer.